MAR 30: PANACHYDA – 2:00 PM. 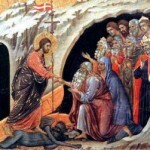 All Souls Saturday is a day set aside for commemoration of the dead within the liturgical year of the Eastern Churches. 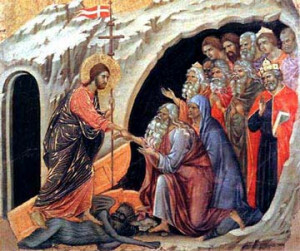 Saturday is a traditional day for prayer for the dead, because Christ lay dead in the Tomb on Saturday. There are several All Souls Saturdays throughout the year. These days are devoted to prayer for departed relatives and others among the faithful who might not be commemorated specifically as Saints. The Divine Services on these days have special hymns added to them to commemorate the departed. All Byzantine Catholics observe All Soul Saturdays on Meatfare Saturday (Feb 23); Saturdays of Great Lent so the second (Mar 16), third (Mar 23), and fourth (Mar 30); and the Saturday before Pentecost (June 8).